More often than not, a sacrifice of praise. I've learned that having a thankful heart is key to managing the fierce battles that come with ministry. I've learned that when I can't praise God for my circumstances, I can always praise Him for who He is. In my opinion, that is the very definition of sacrificial praise—an offering to the One who loves us. Thanksgiving … in spite of it all. Why is this so important? And why, in the above verse, would the Lord instruct us to offer thanksgiving and pay our vows to Him, and then call upon Him in the day of trouble for He will deliver us? To begin with, a thankful heart is the best vehicle to accomplish God's will in our lives. 1 Thessalonians 3:18 reads, "in everything give thanks; for this is the will of God in Christ Jesus for you." A thankful heart expresses complete trust in God's sovereignty. There are many wonderful things that occur in ministry, but along with the good comes the bad and the ugly. The Apostle Paul is instructing us to give thanks, even in the bad times, because this is the will of God in Christ Jesus for us. This kind of trust elevates our faith to new heights. A thankful heart keeps us focused on the Lord and lifts us above the fray. There's something about praise and thanksgiving that, not only honors the Lord, but changes us from the inside out. Our attitudes change. Our fears and doubt dissipate. 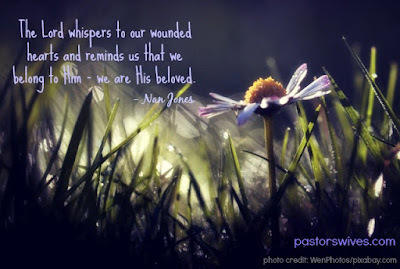 We are suddenly and thoroughly reminded of who we aren't and who He is. How amazing is that? And a thankful heart expresses acceptance of God's will even when it's contrary to our own. This pleases the Lord and honors Him greatly because of its expression of complete trust. 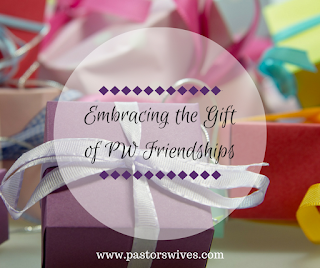 An intimacy of fellowship is formed with Him as we choose thankfulness and praise over complaint. I want to cultivate a heart of thanksgiving like Elizabeth Elliot. I want to readily offer my thanksgiving to the Lord in complete trust of, not only His love for me, but His will for my life wherever that may carry me. For I know that if I obey the Lord in this instruction, when the day of trouble comes—and it surely will, especially for those in ministry—He will be faithful to deliver me that I might glorify Him. Isn't that comforting? Reassuring? This knowledge gives me a sure place on which to stand steadfast in the work of the Lord. A thankful heart helps keep me centered in His perfect will, it keeps me filled with the wonder of His presence as He inhabits my praise. A thankful heart helps me face each new day knowing I need not fear, for the Lord is with me. How about you? Are you learning to cultivate a thankful heart in all things, especially those things that reek with struggle? What does a thankful heart mean to you? Has the Lord given you some insight you would like to share with others? Oh, I certainly hope so. Lessons of thankfulness will not be soon forgotten. November is typically the time of year when my Facebook newsfeed fills up with, "Today I'm thankful for..." every day of the month, yet those same people quickly lose their spirit of thankfulness as soon as the month is over. Most lose it the day after Thanksgiving when they hit the Black Friday sales. I've had times when my heart has been more thankful than others, but even in the rotten periods I've learned there is always something to be thankful for. We had several years of trying times in ministry at several separate churches. Some were so bad we would ask each other from time to time if we were the problem because the opposition was so great. 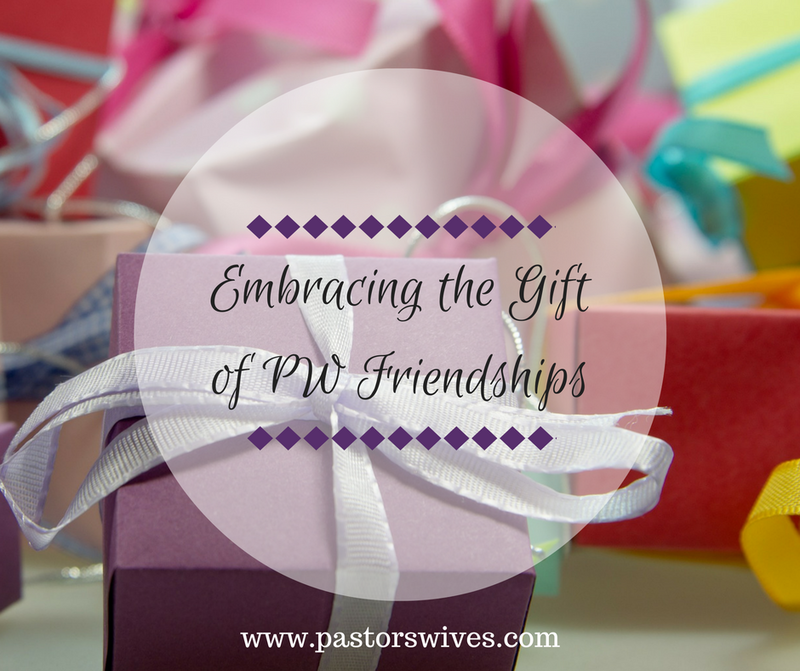 We worked for several churches I wouldn't invite people to. I had people ask me where I went to church, and I'd tell them and then tell them where they could find a good church. There were times when I'd make the five mile drive to church, stop halfway and return home, call him and say, "I just can't do it today." But there was always something to be thankful for. The view of the river from my back porch became a sanctuary during those years. Holding my children close was like air in my lungs. My job that took me out of town a few evenings a week gave me confidence when speaking in front of groups and provided a boost to my self-esteem when I felt beaten down by people at church. I was even thankful for the rumors spread about me because I knew they weren't true. (I'm still married, unlike the rumors said, and still alive and in good health, unlike other rumors). Sometimes the thankfulness was simply being glad that I wasn't as miserable as the person complaining to me or gossiping about me. Through the years I've strived to keep our home a peaceful place so even when church isn't the peaceful environment, my family knew home was a haven. Home was a place where we didn't talk about one another, where we could find quiet if we needed it, where we were free to laugh and be ourselves, and where we lived life, making sure we were the same people in front of each other as we were anywhere else we went. Today I'm thankful that we raised children who love the Lord, despite witnessing how cruel His children could be. I'm thankful that we went through the tough times we did because it made us stronger leaders. I'm thankful for all of the seasons because God has always shown His faithfulness. Ministers work when everyone else is on vacation. Someone has to lead the Wednesday night prayer service just before Thanksgiving. 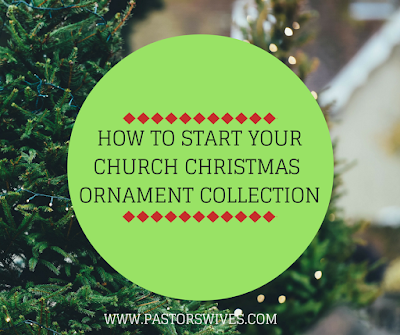 Many churches have a Christmas Eve service or three, and if Christmas is on the weekend, your pastor will be there. When your pastor is also your husband, these situations often indicate you’ll spend the holidays away from your extended family. I’m not discounting the loneliness that arises because of these situations. It’s real. If, however, you choose to redeem the distance, you may find greater significance and some special memories in your new normal. 1. Evaluate what’s really important about the holiday. Chances are, your previous Thanksgivings were taken up in the stress of preparing your own home or taking your family to someone else’s home. Either way, you were thankful, but giving thanks probably wasn’t at the top of your to-do list. This year, be thankful for the lack of distractions, then take some time to really think about thanksgiving. Not Pilgrims and Indians (although that’s fun) but gratitude for the previous year. Search the Scriptures (Psalms are a good place to start) for verses that help you generate gratitude; make crafts with your children or decorate a board with one of the verses. (There are probably a thousand ideas on Pinterest to help you do this.) Let your actions become an act of worship. 2. Establish your own special traditions. What did you love about Thanksgiving as a child? As you’ve grown as a Believer, what do you realize has been missing from your past observances? Now you have the opportunity to incorporate those things into your family story! Maybe one of your activities from above will become an annual practice. Most of the time, our holidays are centered on our extended families and those feel-good, kin-folk moments, but many people will be lonely this Thanksgiving. Seek out others in your church or community who also cannot travel and invite them to your home for Thanksgiving. 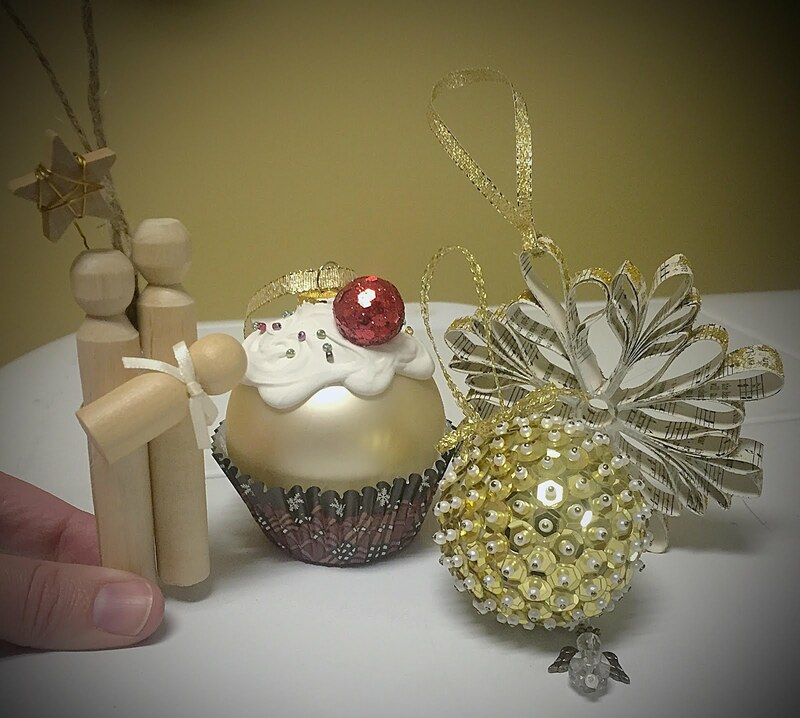 If you want to maintain the eat-until-you’re-stuffed tradition, this is the way to do it! In opening your home (or carrying your hospitality to someone else’s home) you’ll lose your own loneliness without even realizing it. 4. Schedule time with family outside the holidays. We don’t want to distance ourselves from our families, so before the holiday arrives, make sure everyone knows why you won’t be there. 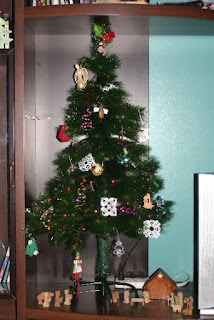 Find a time when you can visit each family and schedule it now so that, when the holiday hits, you and your extended family will have something to look forward to. Thanksgiving doesn’t have to be a dreary, lonely time just because you can’t be “home for the holidays.” Remember God has placed you in this place for a purpose. You can choose to redeem the distance and glorify God in your right-here right-now. 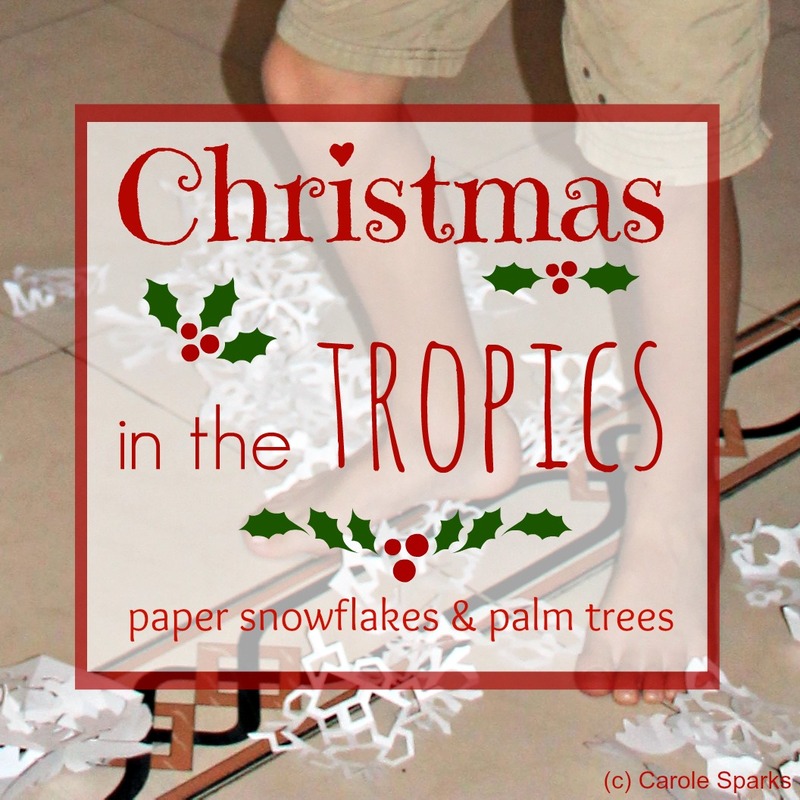 Come back next month, and I’ll tell you about our first sweat-drenched Christmas overseas! In the meantime, what about you? 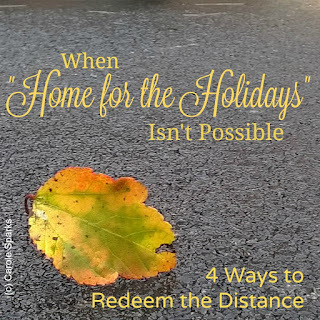 How have you redeemed the distance when you couldn’t travel for the holidays? I was done. Finished. There was no way I was going to walk back into that church again and face those … those people. Not after that business meeting. They were cruel and heartless and had no respect for my man—their pastor. I fumed and fussed, whined and complained to nobody but the mirror. That was my safe place—behind closed doors in the bathroom. I could fuss at that mirror all day long, and although I didn't get any sympathy, I didn't get any backtalk either. I could take off my happy mask and just be me—a woman who loved the Lord, wanted to lead others to His love, wanted to undergird my husband, and tried really hard to do and be the best pastor's wife I could be. But sometimes I got hurt. Many times I felt anger and betrayal. And sometimes I just needed to stomp my feet and shout ugliness at that mirror! But then God, in His infinite wisdom and mercy would come to me and whisper to my wounded heart. He would tell me to come and reason together with Him. He reminded me who I am to Him—His daughter, His servant, His beloved. And then He reminded me to forgive those people for they knew not what they were doing. Um … excuse me Lord? They know perfectly well what they are doing! No, Nan, not really. You are not battling with flesh and blood, but with principalities of darkness. The people wanting to halt My work through the man of God I've sent them do not have the spiritual maturity to see the spiritual battle. You're right, some don't care and I'll take care of them, but most don't understand what they are doing. 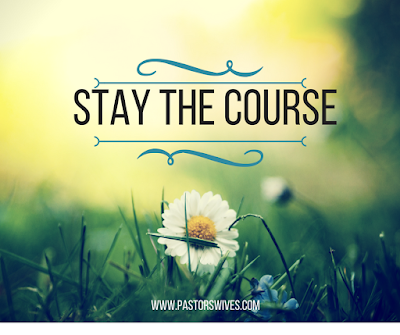 You must forgive them and stay the course. But what if I don't want to? Then you will lose the battle and Satan will gain ground in this church. I had a lot of soul searching to do. Dying to self is no fun, is it? The need to thrust out our chest and boast that we are right and they are wrong is horrid. Us versus them. Control people versus Holy Spirit people. Oy! But all the people are God's people—the flock He has chosen for you and your husband to shepherd. Even the ones who are ornery and self-righteous. Yes, even those. Go in God's strength. His eyes roam to and fro above the earth searching for those who are committed to Him who need to be encouraged. How beautiful is that? Stay the course. If God be for you, and He is, then who can dare to be against you? My daughter and I were recently discussing recurring dreams that mess with our sleep. She’s had a dream three times and is relieved to wake up and realize it isn’t true. As we talked about them I understood the three dreams I live while asleep reveal something deeper than I imagined. The first dream involves driving in reverse. I hate reverse. My husband likes to back up across the church parking lot just to play, but it feels like I’m on a roller coaster. I tend to avoid anything that moves without my controlling it, so driving backwards is not my idea of a fun time. In my dream I’m driving in reverse and the car is out of control, spinning all over the place. No matter what I do I can’t fix it. I haven’t had this dream in a few years, and looking back I can see that parts of my life were out of my control. Things have since fallen into place and my dreams no longer involve reverse. The second dream is one I haven’t had in almost a decade. In this dream I’ve got something in my mouth and can’t get it out. It’s the texture of the wax lips I used to chew on as a child, and it’s in big lumps and tiny slivers. No matter how much I try to empty my mouth of it, there is still more. This dream is an easy one to unwrap. It means I have something to say and can’t get the words out. I know the reason I don’t have this one anymore is because I’ve found my voice and the confidence to say what needs to be spoken. Fear of being ridiculed has vanished each time I speak where I would have once cowered. The final dream is one I still have on occasion. I arrive at church to a full parking lot and have to park on the grass or the street. Once inside I find there is nowhere for me to sit. Every seat is full. As the pastor’s wife I have given myself an unassigned assigned seat: the first row second seat in from the left. It’s my spot. In my dream I’ve had to stand in the back or sit on stage with the choir (Choir? We don’t have a choir!) The more I thought about this dream, I realized it’s about my insecurity of not knowing my place or not knowing where I fit in as the pastor’s wife. Am I just another member of the congregation or am I a leader? How many of us have felt this way? I am not someone who likes to be fussed over or have all eyes on me. Early in our adult ministry I entered church one morning with a new haircut. 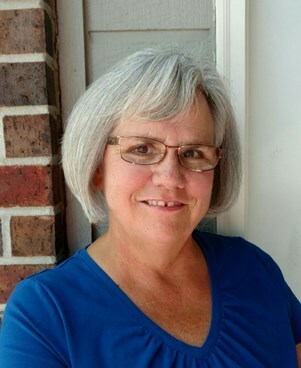 There was a collective gasp from the congregation and whispers of, “Suzanne got her hair cut.” It was enough to make me want to turn around and go home. I’ve faked my way through many a Sunday morning. But God has bigger plans and ideas, and sometimes they involve being uncomfortable. I’ve learned He is trustworthy and faithful. Even when I am apprehensive He will take care of me. 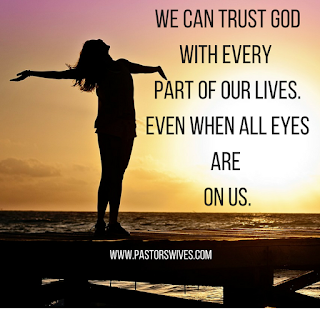 We can always trust Him with every part of our lives. Even when all eyes are on us. We walked into our first post-seminary ministry position with confidence, ready to serve. We had a one-year-old and a U-Haul full of mostly second-hand furniture. Because he was one of five ministers at the church, my husband’s responsibilities were fairly clear. He had to fill in for other leaders at times, but he knew where he fit in the structure and service of the church body. Not so for me. Who was I in this new place? What was I to do? I’m not an incredibly self-confident person. In fact, I hate it when people think negatively of me. Every time, I had to work up the nerve to decline. This was my process. I pray it helps you determine where to invest your time and energy when you face similar requests. 1. Determine your identity before you go. Think about your gifting, skills, and experience. While God might call you to something completely new, it’s more likely you’ll find your fit within familiar bounds. 2. Evaluate your existing commitments. Your possible roles as a mother, a wife, an employee, etc. are completely valid and require large chunks of your energy. And let’s don’t forget your own spiritual well-being; that takes time. You also need to rest occasionally. Envision how this new opportunity will fit into your life. Be realistic about your superwoman status. 3. Don’t let someone else give you a guilt trip. A need does not equal a calling. It’s easy to confuse a big need in your church with a calling for you to meet that need. 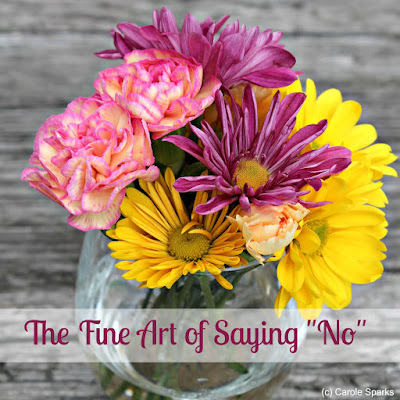 Pray about each offer, considering your prior commitments. If God leads you to say “no,” ask for the strength to do it. 4. Don’t give yourself a guilt trip. Even if the other person doesn’t make us feel guilty, we can lay that burden on ourselves. Remember someone served in that position before you arrived…or the church operated without it. If God intends your church to do/have that ministry, He is also calling someone to fill it. Pray for that person to step up and give yourself a break. 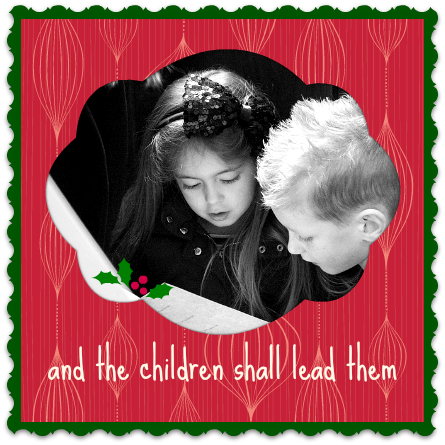 For me, I learned I could manage one big thing, such as leading a children’s group, and a couple of small things that didn’t require preparation, such as being a greeter or sharing my testimony at Upward games. It took a while for me to learn how I fit in that first church body. They were (still are!) a special bunch of people, and I will always be grateful for the freedom they gave me to discover who I was as a minister’s wife and then to live in that discovery. If I had overburdened myself with church responsibilities, I doubt I would feel the same way. Dealing with burnout? You aren't alone. 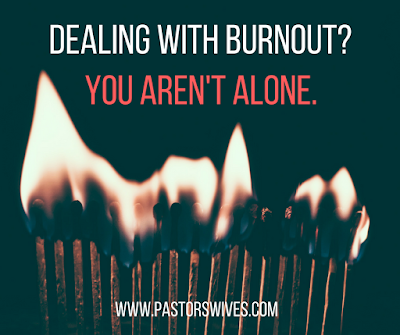 Megachurch pastor Pete Wilson’s recent resignation from Cross PointChurch in Nashville renewed attention on the topic of pastor burnout. Saying that he was “tired” and “broken” and “leading on empty,” Wilson told his congregation that the best thing for him to do was to step aside from Cross Point leadership. Wilson’s words had a familiar ring to them. It wasn’t so long ago that my husband and I went through our own journey with burnout and depression. It was one of the toughest seasons in our marriage. His burnout was brought on by a lack of boundaries and unrealistic personal expectations. I was struggling to parent two young children without being caught up in his emotional turmoil. Things finally came to a head when I slapped the number for our state convention’s counseling line down in front of him and told him if he didn’t call, I would. He made the call, and our state convention helped provide us with counseling and needed resources. Slowly, we climbed our way out of the pit. Many denominations offer counseling help for pastors and their families. Take advantage of those resources. If counseling help isn’t available through your denomination, try calling the Focus on the Family Pastoral Care helpline or check out CareforPastors.org. It can be challenging for ministry families to practice Sabbath, but it is essential. Rest is an invitation to enter God’s presence and allows us to participate in re-creation. Take a day off. Turn off the cell phone. Get out of town if you need to. Regular Sabbath practice is one of the best defenses against burnout. We need people in our lives who care about the state of our souls. For some, this may be a family member or close friend. For others, it may be a spiritual advisor. Find a person who listens to your soul. If you don’t have anyone in your life that fits that description right now, make it a matter of prayer. Ask God to reveal to you who he has placed in your life that can be a soul-companion. 4. Create a spiritual covenant. Finding a goal to work toward can help you move out of burnout into health. A spiritual covenant can be one tool in helping you define and work toward meaningful goals. How are you doing in terms of your spiritual disciplines of Bible study, prayer, and worship? Are you keeping Sabbath? Tending to your physical health? Developing relationships? Growing in your vocation and training? Draw aside for an hour and prayerfully consider each of these components. Ask God to help you set a goal or two in the most important areas—not for the rest of your life, but maybe for the next six weeks or so. Decide what you will do to achieve these goals. Share your covenant with a friend, and reevaluate in a few weeks to see your progress. If you’re dealing with burnout, you’re not alone. There is hope. Share your experiences with burnout in the comments, or connect with our message board community to talk in a private and secure setting. 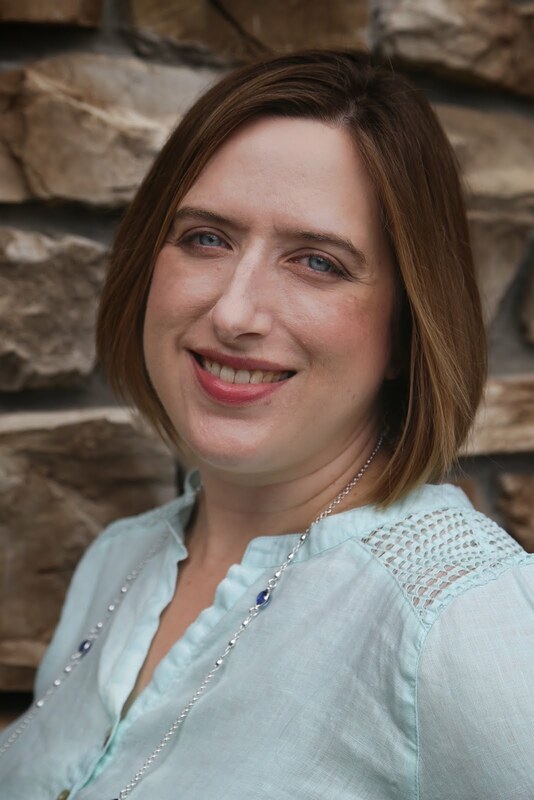 Leigh Powers is a pastor's wife, Bible study and devotional author, freelance editor, and mother of three from small-town West Texas. 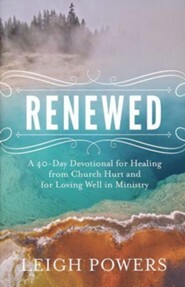 She is passionate about helping women find hope and healing by meeting God in his word. 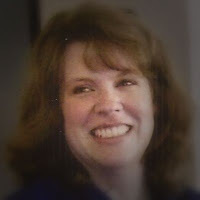 You can connect with Leigh on Facebook, Twitter, or follow her at her blog My Life. His Story (www.leighpowers.com). Pastors' appreciation month has become more well-known and publicized in recent years, and companies like Hallmark have even joined the likes of Dayspring in making clergy appreciation cards now. With the knowledge of the day, comes expectation. It's a bit like knowing your birthday is approaching and hoping someone will say, "Happy Birthday" or send you a card. I have met some pastors' wives whose churches really go all out in honoring their husbands and/or family. Others receive some acknowledgement, while still others receive none at all. I've even met staff pastors’ wives who served in churches where only the senior pastor was honored in October. So, if no one says how much they appreciate your service to the Lord this month, or even if they do, let me say it to you -- I appreciate you. We're in this together and you are a valuable member of God's team. I know how you, pastor and wife, pour of yourselves into your congregation. I know how you love them and/or strive to love when some may seem annoying or exasperating. I know how you pray for them in secret and how you do things at church that many may take for granted. I know how you felt when a church member you considered a friend gave you the cold shoulder because they were upset with your husband. I know how you've sat on pins and needles, wishing you could be a fly on the wall, while your beloved was in a tough meeting that went long. I also know the joy you've felt as you've seen the fruit of your efforts. I've felt the amazement you've felt as you've seen God work in situations you'd deemed hopeless. I know the discomfort you felt when someone came to you for advice simply because you are the pastor's wife, and the elation you felt when God helped you guide them in His wisdom. And I know the honor and humility you've felt as you've been presented opportunities to serve that are unique to your gifts, personality, and experience. But more importantly than that--God knows, and He's cheering you on. Others appreciate you, too. There are Christians all over the world who honor pastors by providing retreat and vacation facilities for pastors, wives, (and sometimes families) at little to no cost. They know your sacrifice, and they are there for you. We have personally worked with BroomTree Ministries, and it is a beautiful place to refresh and renew. They didn't use the evening meal to pull out the multi-level marketing plan nor the time-share condo opportunity. They simply wanted to encourage us. So if pastor's appreciation day comes and go without anyone noticing, and if pastor's appreciation month is a bit disappointing, please know that God sees what you do. He sees the love, prayers, and hard work you pour into His sheep; and He says, "Well done." In the end, that's what matters the most. At a city wide pastor and wives event we were seated at a table with another couple whom we have known for some time. Everyone knows this couple. When most think of this couple, I think words such as "loud" and maybe even "obnoxious" come to mind. This couple loves the Lord but are known for sharing their opinions freely with much authority. We attended a reunion of Christians we met in the 70s during the "Jesus Coffee House" era. It was wonderful to see these people, many of whom still serve the Lord. As I interacted with someone I've known for years, a remark was made to me that took me aback. Basically the person told me he didn't think I liked him. I was shocked. Of course I like him. In fact, I admire him and his ministry. I was hurt by his remark to me. I asked him, with admittedly some defensiveness, to explain what he meant and he told me. I was ready to tell him that he misunderstood me and took my actions the wrong way when my earlier prayer came to mind. Could this be the answer? 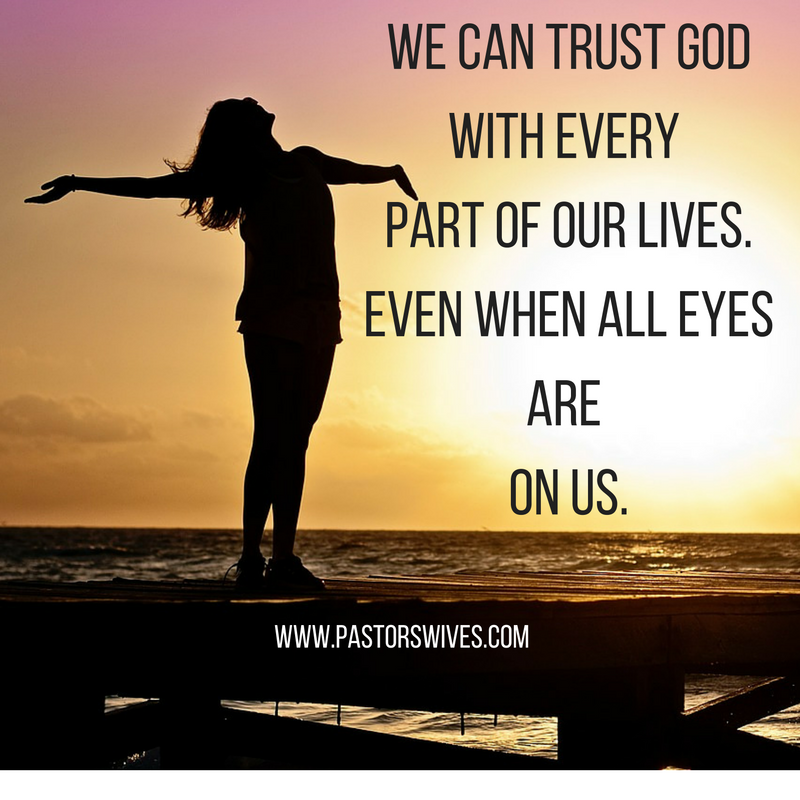 Could God be showing me how I can look to others? I left the reunion feeling a little bruised, but the more I pondered it and tried to see it through his eyes, the more I began to realize that my actions could easily be interpreted as he apparently had interpreted them, even though I didn't mean them in a negative way. Years ago, we used to hear about “The Reproofs of Life." I don’t hear that phrase used anymore, but what it means is this: We learn from difficult things that life teaches us. Not watching where we are going and falling down is a “reproof of life." Getting caught for stealing something is a “reproof of life." Being told you hurt someone can be a “reproof of life." I emailed my old friend and thanked him sincerely for his remark to me. It was a reproof that opened my eyes to a way I appeared to others that I was not aware of. I began to think about how I can come across to others.from their perspective. It’s easy to miss the reproofs of life. It’s easy to think “Boy is he touchy, I was just kidding," or “Of course I didn’t mean it that way, he took it the wrong way." As PW’s, our actions are scrutinized--and in many cases, unfairly. But we can grow as women and Christians if we don’t simply write off the remarks of others as unfair. Perhaps there is a grain of truth in the observations of others that we can learn from. Ask ourselves: how did I look from their eyes? How did this sound to their ears? Even though I had good motives, from their perspective, could it look different? 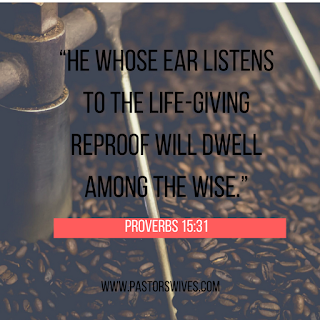 My friend didn’t know he was giving me “life giving reproof” with his remark, but by looking at our interaction from his eyes, I gained some fresh new perspective and plan to approach people in a slightly different way in the future, more mindful of how I come across to others. Last week we successfully revived our message board for pastors' wives. I was thrilled to literally see the board coming back to life in the forum statistics -- like a heart beat on a monitor! 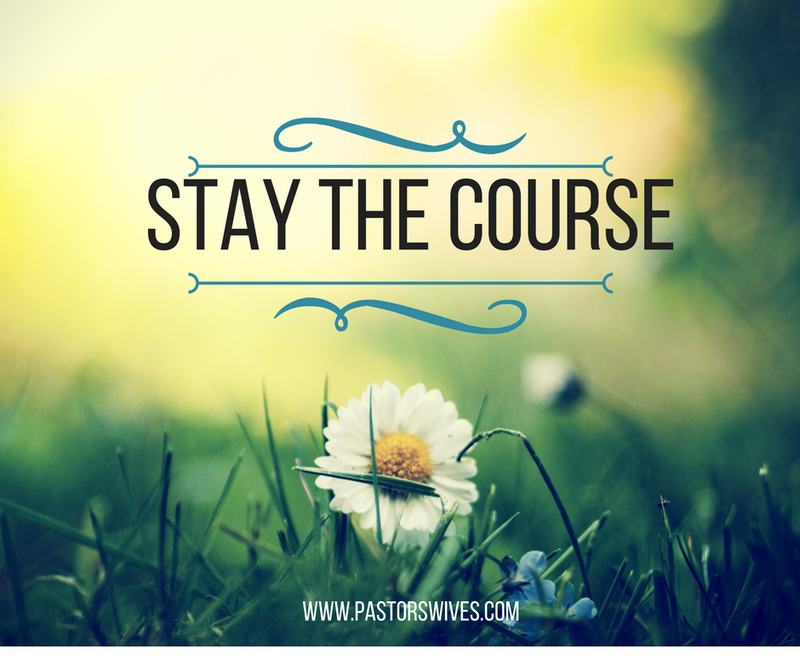 If you saw our call for writers or have connected with us on social media, you may already know that we're taking the PastorsWives.Com blog up a notch, with a team of contributors posting regularly to encourage and support ministry wives. Tuesday Sept. 27th, to be exact. Be sure to follow us by e-mail so that you don't miss a post, or subscribe to our newsletter for a monthly digest of all posts. 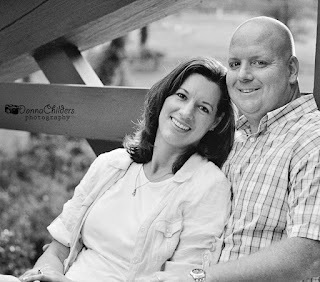 Leigh Powers -- Leigh blogs about faith, life, and kingdom living at My Life, His Story. Her e-book, How Do I Forgive? -- offered to subscribers of her personal blog, is a blessing to read. Last summer, as we discussed revitalizing our pastors' wife message board; Leigh approached me, offering to help recruit/organize writers and schedule/publicize their posts. That's what I've wanted for this blog all along, and so I'm beyond thrilled to have her come alongside. What a blessing she is! We'll be hearing from Deb Harrold. She is a pastor's wife, mother, grandmother, nurse, and ladies Bible teacher. 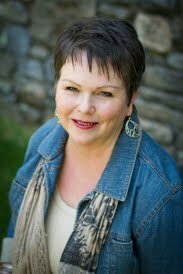 For a preview of the wisdom she'll share with us on Tuesday, you can visit her blog, Out of the Misty Flats. 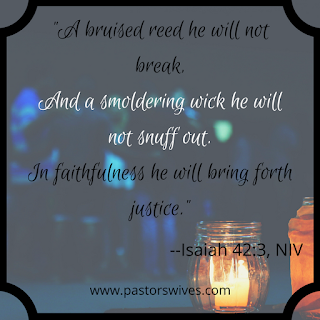 Hope to see you on the message board today, and hope to see you back here on the blog this Tuesday! (Oh, and if you're having trouble getting in to the pastor's wife forum, please check your e-mail (including the spam folder) for a message with more information. And if you've already been approved, be sure that you're logging in to see all the posts -- some have had trouble finding the link to log-in. 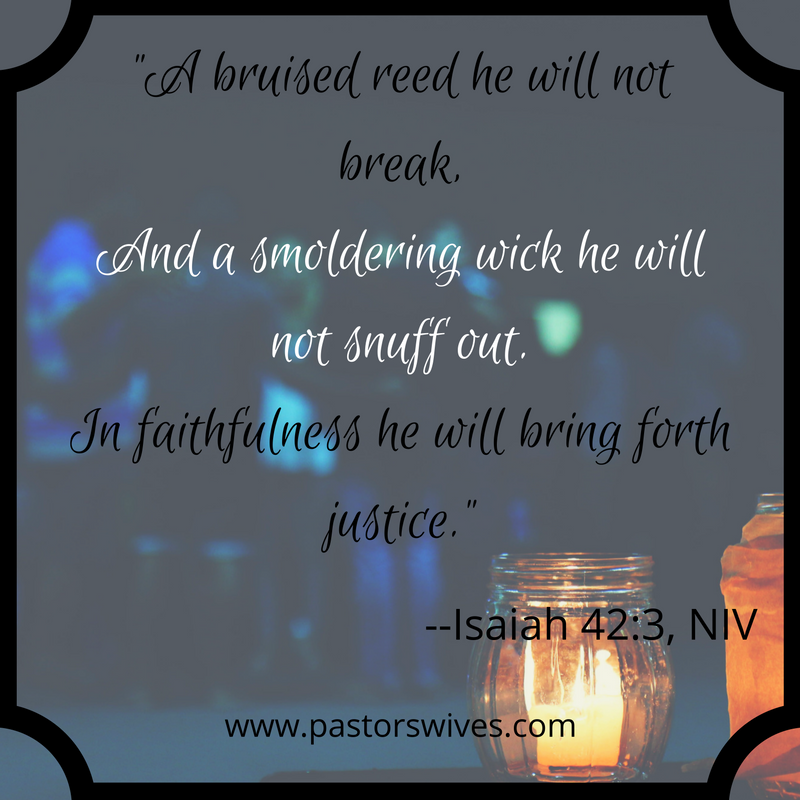 It's Time to Re-Launch our PastorsWives Ministry! The day has come! September 19th has been circled on our calendars for months. It's finally here, and we are over-the-moon excited! For what, you might ask? Well, for many, many years there had been this really neat message board and website for pastors' wives. How exciting it was over the years as one by one we each found it. Wow! Someone who knows me. Someone who gets me! For a while, it thrived. Then it ebbed and flowed. We lost members when the software had a necessary but confusing upgrade. Others were widowed, and still others left vocational ministry. Life happened. Facebook happened. But through it all, some of us have always been there ready to lend a shoulder or a listening ear. Until one day in early June someone asked, "Where is everybody?" So we prayed. We talked. 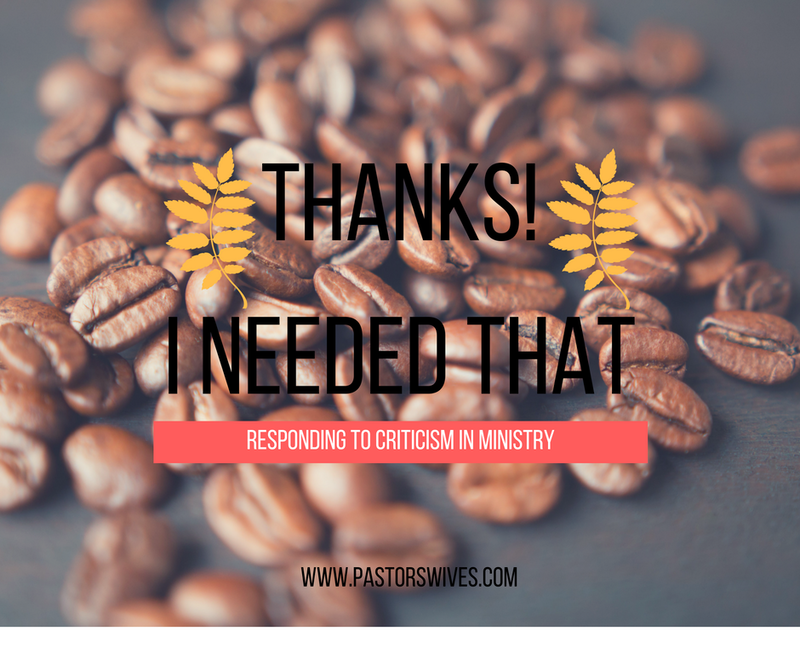 And we decided that despite all other social media, our message forum for pastors' wives is still a valuable ministry. So we prayed some more and put our heads together. We decided on a re-launch week (September 19th-26th). I cleaned, organized, and simplified. I paid to make the forum ad-free. We decided that if everyone who would love to see our message board thrive again would show up at the same time with things to discuss, we'd have the energy and critical mass to get things going again. So, here we are. Showing up! Won't you join us? To register, use the above link or click here. And please, connect with us. 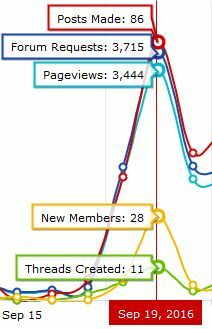 The message board re-launch is just the beginning!